When Alabama officials convene this week in Birmingham for the Governor’s Conference on Smart Growth, they might draw inspiration by looking eastward, across the Atlantic Ocean, where Irishman William Thomas has more in mind than a pot of gold at the end of the rainbow. He envisions an entire city – literally. The future downtown is about at the same place as the tiny village of Kilmovee, which is on most maps. Thomas envisions a 21st century city of a few hundred thousand souls making their way between residential neighborhoods and office buildings of diverse international architectural styles. The Rockwell Defense Systems consultant sees the New City as a way to revitalize Ireland’s forlorn western interior, which locals have fled for decades in search of jobs and modern lifestyles in Dublin, Europe and America. “If it keeps on unchecked, there will be nobody left,” New City partner Gerard McCarry said. Healy was raised in Charlestown, through which the east-west N5 and north-south N17 national roads today seem to carry more people away from town than to bring new residents. So far, most locals view the New City with healthy Irish skepticism. Still, Irish government officials from Dublin traveled to Healy Memorial Park in Charlestown last fall to talk about Ireland’s ambitious sustainable development plan, called the National Spatial Strategy. The plan aims to better distribute Ireland’s growing population by making key infrastructure investments in second- and third-tier towns like Charlestown that now have little to attract and retain residents. In turn, the strategy hopes to ease overcrowding in Dublin. Thomas said it might take an investment of $100 billion to build his proposed New City, with most of the money coming from some 2,000 corporations he plans to solicit. That’s just as well; Irish government officials interviewed last fall said they have no plans to fund Thomas’ vision. Thomas has formed a new political party of like-minded visionaries to compete in Ireland’s May elections. Meanwhile, the upcoming political season has delayed final publication of the Spatial Strategy. Natural gas discoveries off County Mayo’s Atlantic shore and the nearby Knock Airport still could make the New City a great investment, Thomas insisted. The airport also offers an example of another man’s eccentric vision to help the same area. Monsignor James Horan, a priest at the shrine where the Virgin Mary is believed to have appeared to some local residents in 1879, conceived the idea of building an airport to bring more visitors to the area. His vision was to spark the economy while inspiring the faith of believers. With private donations and government investment, an airstrip long enough to land international jumbo jets opened 20 years ago in this most unlikely location. But not much investment has come to Knock beyond the bed-and-breakfast inns and religious gift shops surrounding the shrine. Thomas wants his New City to be known as the City of the Sacred Heart, reflecting his own devout Roman Catholicism. 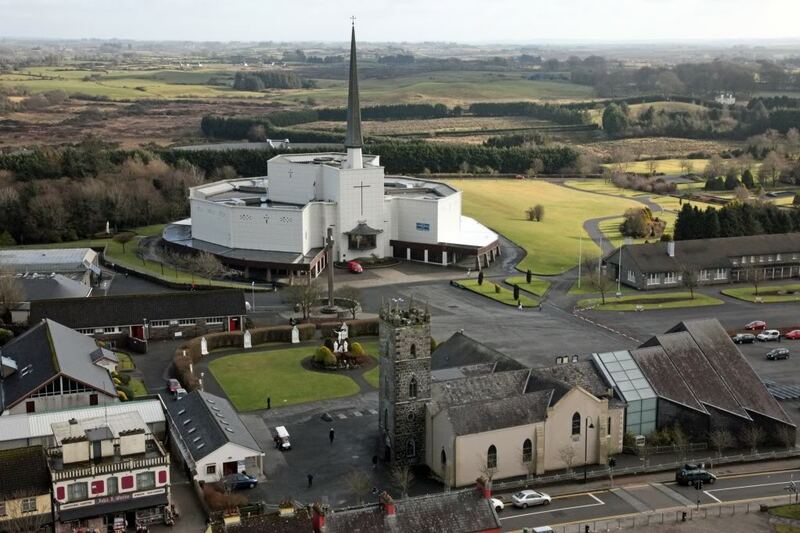 The New City has gained some church support and media attention, but so far Thomas has failed to match Horan’s airport in making a mark on the Mayo countryside. Mobile Register staff reporter Mark Holan traveled to Ireland in October on a grant from the German Marshall Fund of the United States, which promotes better relations between America and Europe in the spirit of the post-World War II Marshall Plan.